Free Shipping Included! 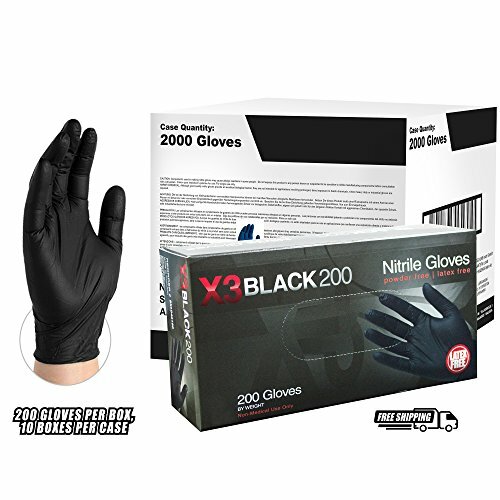 Save 1% on the AMMEX - BX3D44100 - Nitrile Gloves - Disposable, Powder Free, Latex Free, 3mil, Food Safe, Medium, Black(Case of 2000) by Ammex at Blog Free Here. MPN: BX3D44100. Hurry! Limited time offer. Offer valid only while supplies last. BX3D Black Powder Free Nitrile Gloves are fully textured for a sure grip, wet or dry. They combine excellent dexterity with outstanding performance.